Approximately 3.2 million people in the U.S. suffer from Hepatitis C, according to the federal Centers for Disease Control (CDC), and 17,000 cases are diagnosed each year. A liver infection caused by a virus, Hepatitis C can lead to serious and even fatal illnesses such as liver cancer or liver failure. Colloidal silver, a dietary supplement, is not safe, the NCCAM says, and there are serious side effects such as argyria, in which the skin turns blue. Other, much more infrequent side effects, according to the Mayo Clinic, include kidney damage and seizures. Milk thistle, the most commonly used dietary supplement to battle hepatitis C, is a plant from the aster family. 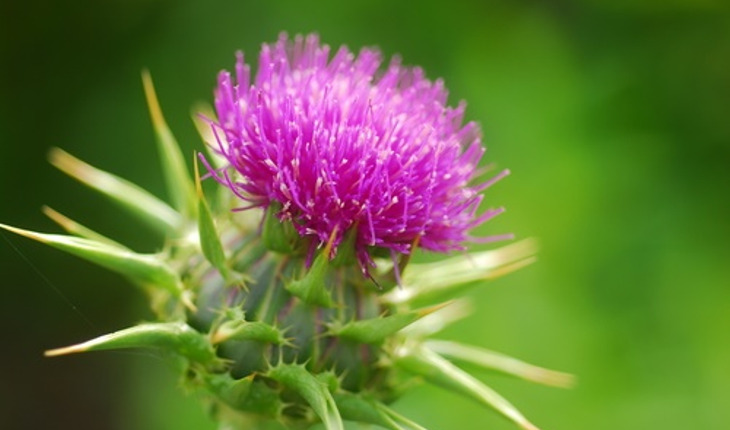 Advocates say that silymarin, an active component of milk thistle, is responsible for the herb’s benefits. And in Europe, it’s been used to treat liver disease for centuries. However, the NCCAM says, a rigorous study hasn’t shown any benefit. The study, a clinical trial in 2012, showed that higher-than-usual doses of silymarin were no better than placebo. Participants who hadn’t benefited from standard antiviral treatment got different levels of milk thistle, and some got a placebo. At the end of the study, the high blood levels of an enzyme that indicates liver damage remained the same for all three groups. Results of a less rigorous study, the NCCAM says, indicated that silymarin use was linked with fewer and milder liver-disease symptoms, as well as a somewhat better quality of life. But there was no change in virus activity or inflammation of the liver. Probiotics. There still isn’t any clear evidence that these live microorganisms help hepatitis C patients. Most people can use probiotics and have only mild side effects such as gas, but there have been reports of bad side effects in people who have serious health conditions. Zinc. This supplement may help correct zinc deficiencies linked to hepatitis C, or reduce some symptoms, but the evidence for even those benefits is limited. Zinc is safe if used appropriately, the NCCAM says, but too much zinc has been linked to toxic side effects. Most studies on zinc have been conducted outside of the U.S., the NCCAM says. Other preliminary studies have analyzed the effect of supplements including lactoferrin and SAMe. But there’s still not enough evidence to show if they work. The same is true for glycyrrhizin (licorice), which can be dangerous for people with a history of high blood pressure, kidney failure or heart disease. Additionally, researchers have done preliminary studies on C: TJ-108 (a mixture of herbs used in Japanese Kampo medicine), schisandra, oxymatrine (an extract from the sophora root), and thymus extract. But like other complementary treatments, there’s no convincing evidence that they help patients with hepatitis C.
If nonetheless you’re considering taking a dietary supplement for heaptitis C, the NCCAM recommends talking to your doctor first. They emphasize that no complementary health treatment should replace conventional therapies. For tips about talking with your health care providers about complementary health approaches, see NCCAM’s Time to Talk campaign (http://nccam.nih.gov/timetotalk). Keep in mind that dietary supplements may interact with conventional medicine or have side effects. To learn more about using supplements, see the NCCAM fact sheet Using Dietary Supplements Wisely (http://nccam.nih.gov/health/supplements/wiseuse.htm). If you are pregnant or nursing, or are thinking of giving a child a dietary supplement, it’s crucial to consult a doctor or pediatrician. Supplements can act like drugs, and many have not been tested in pregnant women, nursing mothers, or children. For more information on alternative health, visit the National Center for Complementary and Alternative Medicine’s website (http://nccam.nih.gov/).